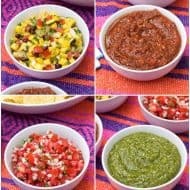 I know Cinco de Mayo has come and gone for this year, but hello, do you ever get tired of all those fab flavors? Spicy, salty, creamy, smoky, and on and on and on. If you’re anything like me, that answer is a big, fat no! So I give you this salted lime popcorn. An easy homemade popcorn with a tart and salty flavor that’ll have you scooping handfuls non-stop. I have a love/hate relationship going on with popcorn. I love it because – come on – it’s delicious. Salty kinds, sweet kinds (kettle corn ♥), chocolate-drizzled, you name it. 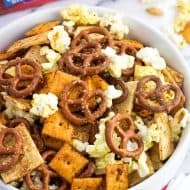 Do you know those tins of different flavored popcorn that get sent around the holidays? World, look out. That tin is a goner! And now that we’re on the subject, I’ll divulge that I even like slightly burnt popcorn for some reason. Is that weird? Thennnnn sometimes I hate popcorn because I can’t stop eating it. It’s a little mind-boggling the sheer volume of popcorn I can put away if I’m in a snacky mood. I also hate popcorn when it’s scorched with that smell that permeates anything and everything in the vicinity. I bet I’m not alone there! I remember the first week or two of college I was living in the dorms, and some midnight snacker super nuked a bag of microwave popcorn and caused the smoke alarms to go off in the middle of the night. Standing outside in my pajamas with the craziest hair ever, surrounded by a million people I didn’t even know was SO not on my list of things to do. This popcorn is made on the stove top (…so no risk of super nuking) with simple ingredients. Four, actually! 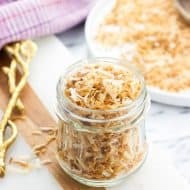 First you’ll melt two tablespoons of coconut oil in a large pot, along with a few popcorn kernels. Then you’ll want to hang around the stove and listen for the first pop. At this stage you’ll sprinkle a little salt and add the rest of the kernels, shaking the (lidded) pot back and forth on the stove top until the popping slows. This’ll only take a minute or two! Leave the pot off the heat and crack the lid to allow steam to escape. 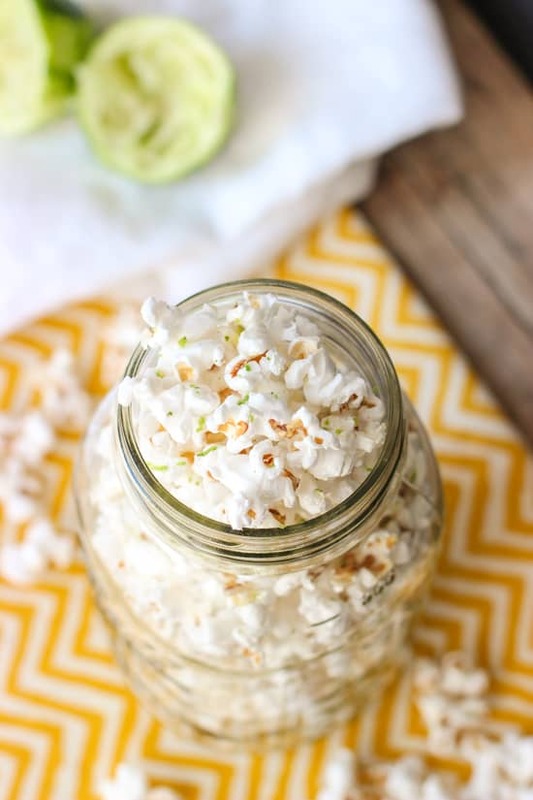 To flavor, toss the popcorn with lime zest and pour a drizzle of warmed lime juice over top, and there you go! 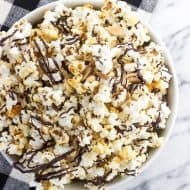 You'll be craving this easy popcorn for a snack! 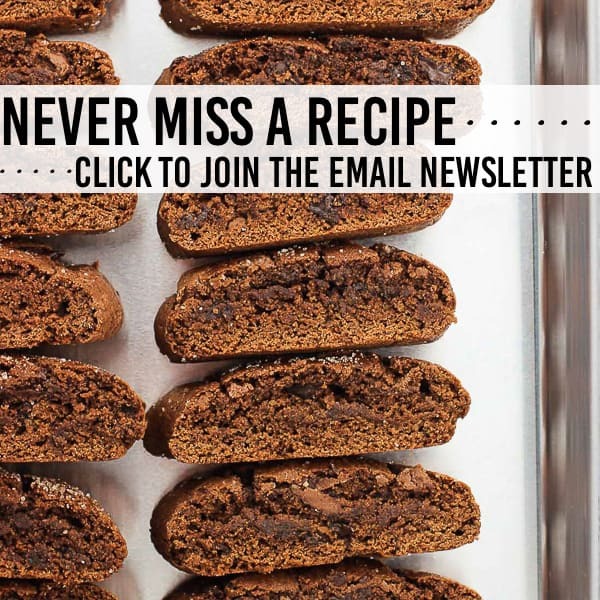 Made on the stovetop in less than 10 minutes, it's the perfect mix of tart and salty. Zest and juice lime before beginning because the process goes quickly once the kernels start popping. Add coconut oil and about 2-3 kernels to a large pot set over medium-high heat. Once the coconut oil melts, stay close by to wait for the first kernel to pop. Once the first kernel pops, add 1/4 tsp salt to the melted coconut oil and pour in the rest of the kernels. Place lid on the pot and grab the handles with oven mitts. Shake the pot back and forth on the stove top until the popping begins to slow. 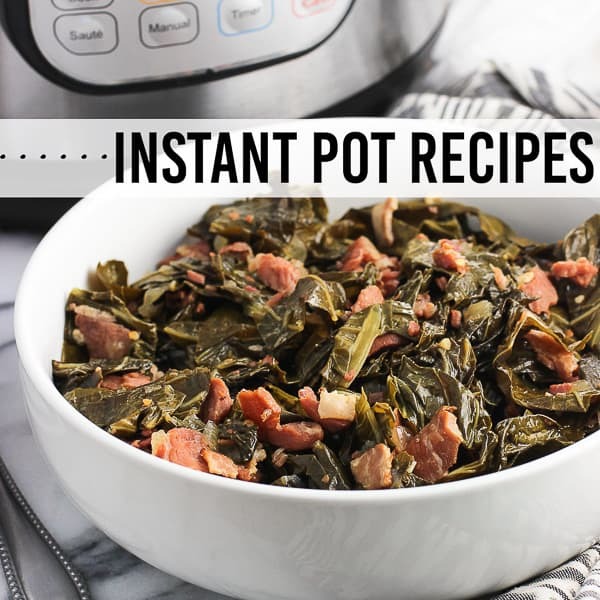 Remove pot from heat and crack the lid to allow the steam to escape. 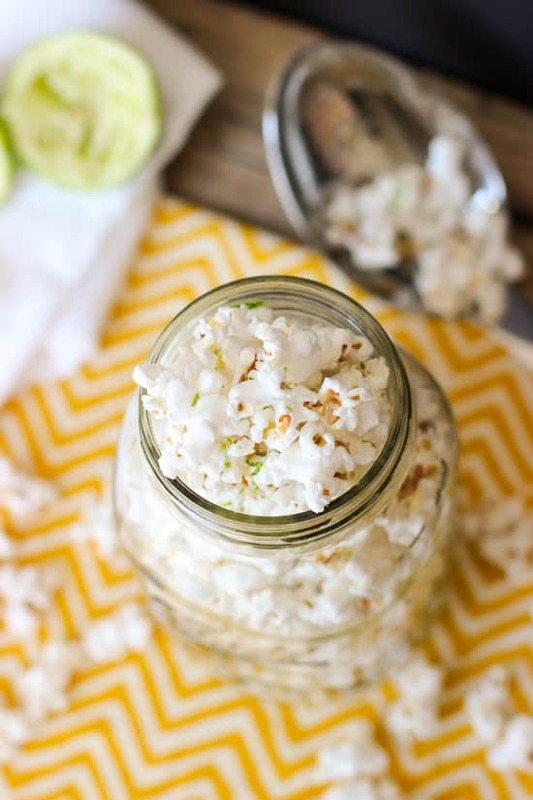 Toss popcorn with lime zest. Heat lime juice for a few seconds in the microwave so it is warm. Slowly pour warmed juice over popcorn, trying to disperse the juice evenly without dampening any one area too much. Add additional salt if you'd like. Store in airtight container. This was our game day snack this weekend and it came out really well! It was my first time trying this flavor combo with popcorn and it was amazing, the lime really perks up the flavor! Thanks so much for the recipe! We love popcorn in our house!! 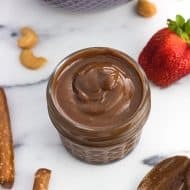 This salted lime version sounds like something right up my alley!! Popcorn is one of those foods that I don’t eat super often but when I do I demolish it!!! This flavor sounds amazinggg. 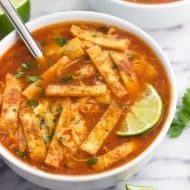 I will never tire of Cinco de Mayo type foods! 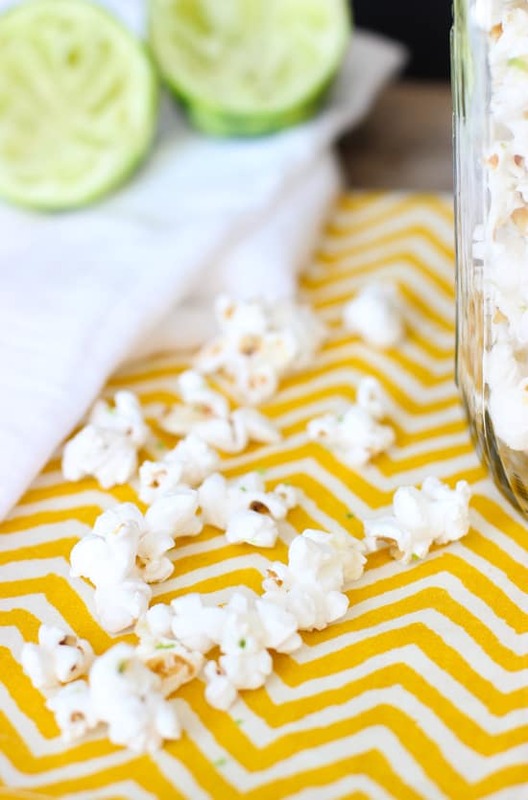 I’ve never been much of a popcorn fanatic, but I really do like the idea of lime popcorn! With the salt it sort of reminds me of a moquito! 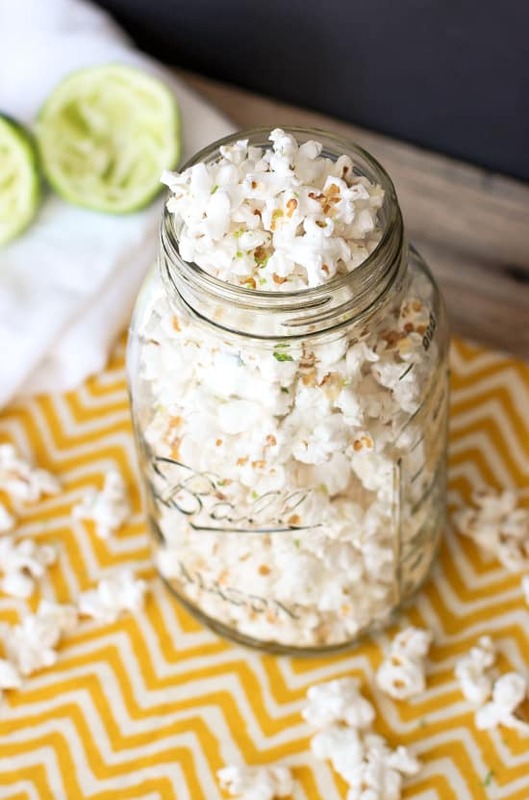 Maybe you need to make yourself one to go with this popcorn next time you make it! That is such a great idea Helen…I think I need to do that next time. 🙂 And I go through phases with popcorn…I’ll fall out of the routine of making it and then totally go overboard. Especially so with this lime flavor! Nope, I don’t get tired of those flavors! 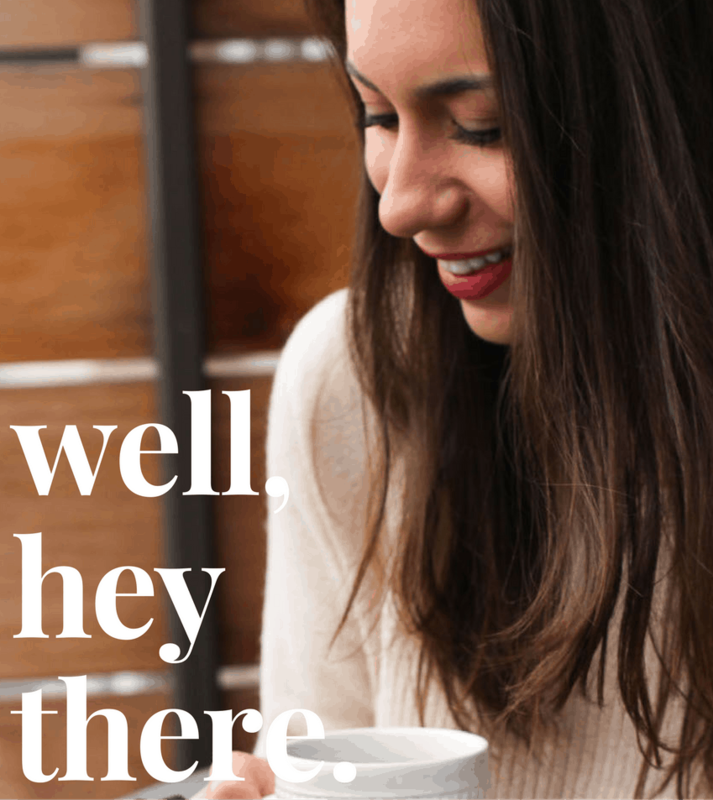 So glad you shared this post! And look at that! 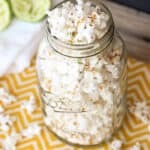 Stovetop coconut oil popcorn is the BEST popcorn ever! And that lime! 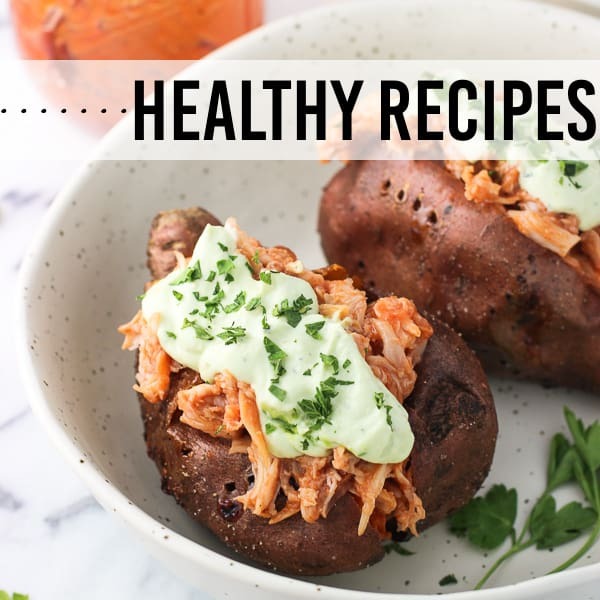 Love this creative recipe, Alyssa! Thank you for sharing! Thanks so much Traci! I don’t think I’ll make stove top popcorn with anything other than coconut oil. It made the kernels so light, not greasy, perfect! Oh what a fantastic flavor, Alyssa! I’ve never thought to add lime to popcorn. I love this! Popcorn is one of my favorite snacks, so I can only imagine how delicious this must taste. Pinned! Thank you Gayle! I’m a huuuuge fan of lime snacks. Ole! The party doesn’t have to end!